The advances made in mobile technology and big data analysis have enabled new opportunities to rethink how people live in and move through cities. Smart bikesharing leverages big data insights to maximize efficiency in both its own systems and operations, as well as in those of cities. Insights from smart bike data can inform city mobility planning and encourage a culture of responsible shared usage, to fill a gap in current urban transportation infrastructure. This innovation comes at a critical time, as urbanization continues to pose sustainability challenges. As the world’ s first and largest smart bikesharing company, Mobike seeks to make cycling a more convenient and sustainable transport choice for urban residents through technology innovation. Mobike is also committed to contributing to the UN Sustainable Development Goals. Most relevantly goals 11 and 13. To ‘make cities inclusive, safe, resilient and sustainable’ and to ‘take urgent action to combat climate change and it’s impacts’. As the recent recipient of UNEP’s highest environmental accolade – the ‘Champions of The Earth Award’ the responsibility to not only contribute but lead on reaching these goals through sustainable transport solutions is at the heart of Mobike’s own goals moving into 2018. 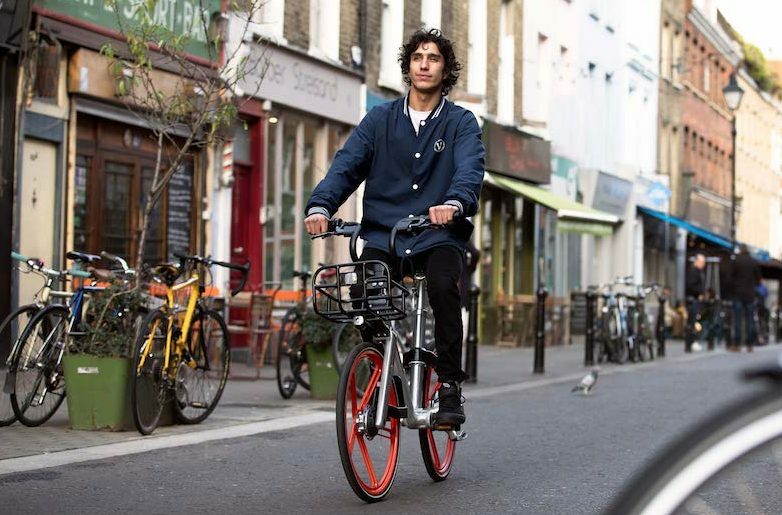 Through big data analysis using innovative IoT technology, and a sophisticated artificial intelligence platform – Mobike are able to gain insight into how cycling becoming more accessible in our cities can impact and change our cities for the better; and thereby significantly improves the quality of life of their residents. This most recent white paper focuses on 12 major Mobike cities across 4 continents: London, Shanghai, Singapore, Milan, Beijing, Chengdu, Guangzhou, Shenzhen. Washington D.C., Sapporo, Berlin and Sydney. Mobike is focused on making urban commutes more efficient and enabling residents to take greater advantage of their surroundings. In aiming toward that goal, education and employment opportunities have also become more accessible in the cities where Mobike has launched. In Washington D.C., the number of job opportunities located within 30 minutes of the city center increased by nearly 200,000 after Mobike was introduced. The additional convenience of having a bike to ride to a nearby train or bus station had an equally significant impact in Berlin, where nearly three-times more schools could be reached within half an hour. As a clean form of transportation, Mobike has also played a pivotal role in replacing car journeys and other polluting forms of transportation. The impact this has made on the environment, and has the capacity to make as bikesharing takes off around the globe, is substantial. Together Mobikers have cycled over 18.2 billion kilometers, the equivalent of saving over 4.4 million tonnes of carbon emissions and creating $194 million of economic benefits. Beijing, China leads the urban areas researched with 73,000 tonnes of CO2 reductions. In addition to improving air quality and shortening commutes to work and school, these 12 Mobike cities burn about 890 Million Kcal in just one week of cycling—that’s over 3 million cheeseburgers! We are only just beginning to see the benefits and improvements to our quality of life that can be achieved by changing our cities through smart bikesharing. Delve deeper into the impressive impact being made by smart bikeshare by reading the full whitepaper here.